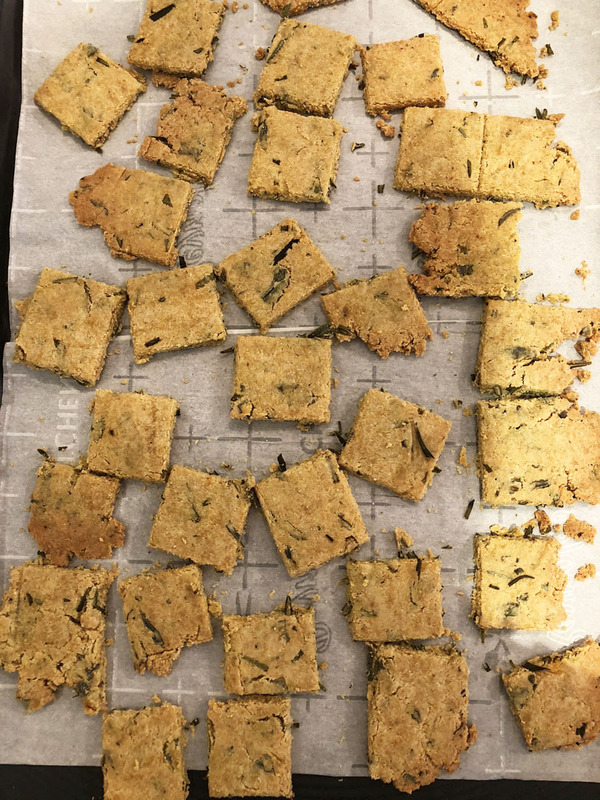 I’m sure you’ve all experienced just wanting to “crunch” on a cracker…well, I have just the perfect healthy version for you! 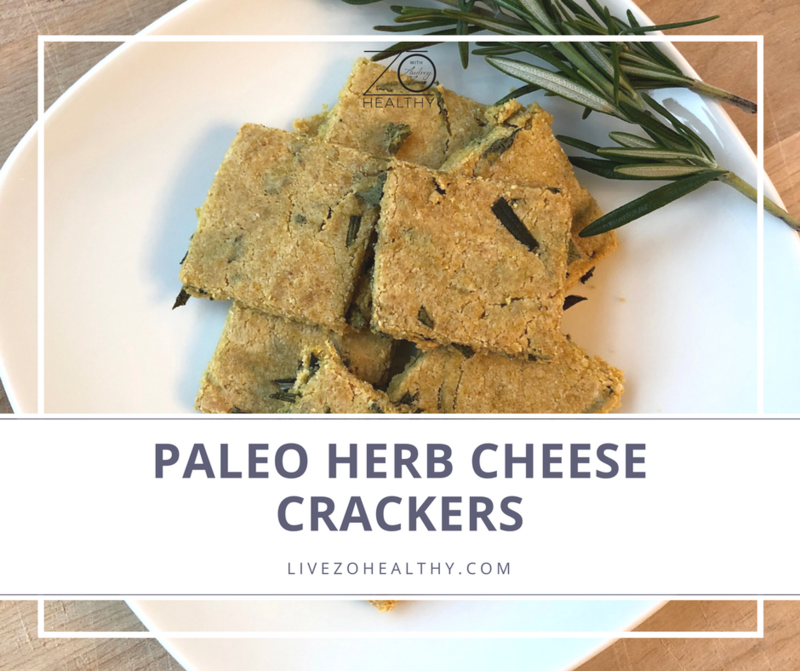 Paleo and cracker are not usually in the same sentence, but this time it is! One of my clients turned me onto this recipe, I fell in love, so I decided to share it with all of you. 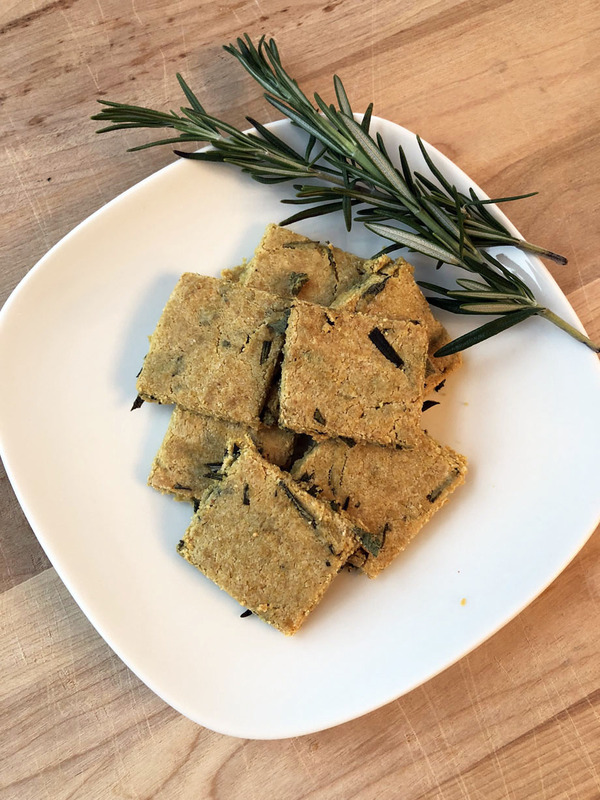 The nutritional yeast gives the cracker a delicious “cheesy” flavor that is hard to come by if you stay away from dairy. 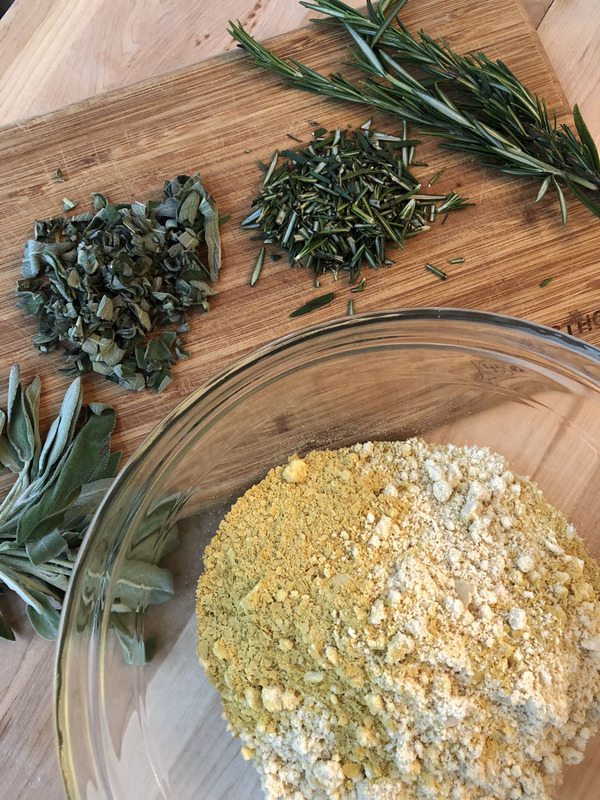 For those of you who don’t know what nutritional yeast is, here are the details- it is a deactivated yeast, harvested from molasses that is flaky in consistency and nutty/cheesy in taste. Vegans are all about using this stuff to give things a cheesy flavor, not to mention its loaded with B vitamins, low in fat and sodium AND free of sugar and gluten. Pretty amazing stuff, right?? These crackers are super simple to make and won’t last that long in your home. LOL! Be sure to eat within a few days, as they will lose their crisp! If you want to make a bigger batch, you can freeze them, pull out and defrost as needed. 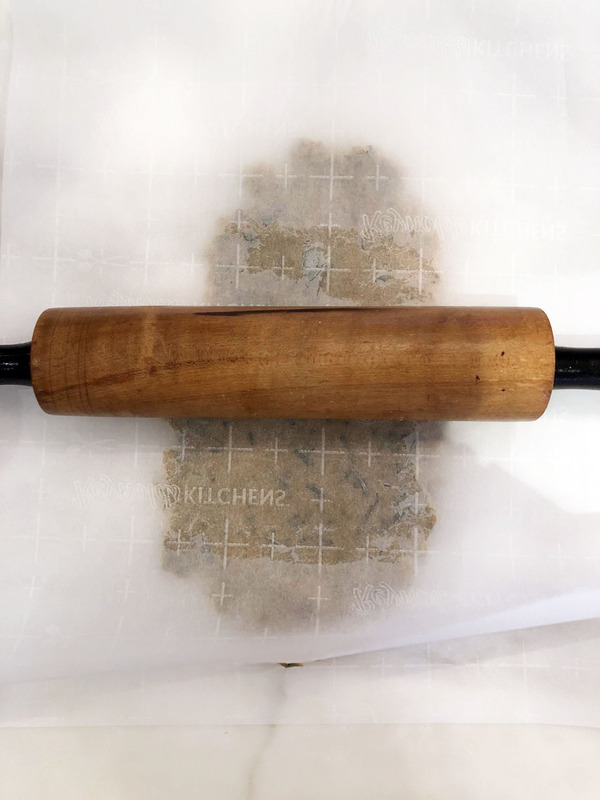 Once the dough is made, place between 2 sheets of parchment paper and roll out about 1/8 inch think or thinner. Remove the top piece of parchment paper, and using a sharp knife, score the dough into squares so that you can break it apart after baking. Transfer the bottom piece of parchment paper to a baking sheet and bake for 12-15 minutes or until browned. 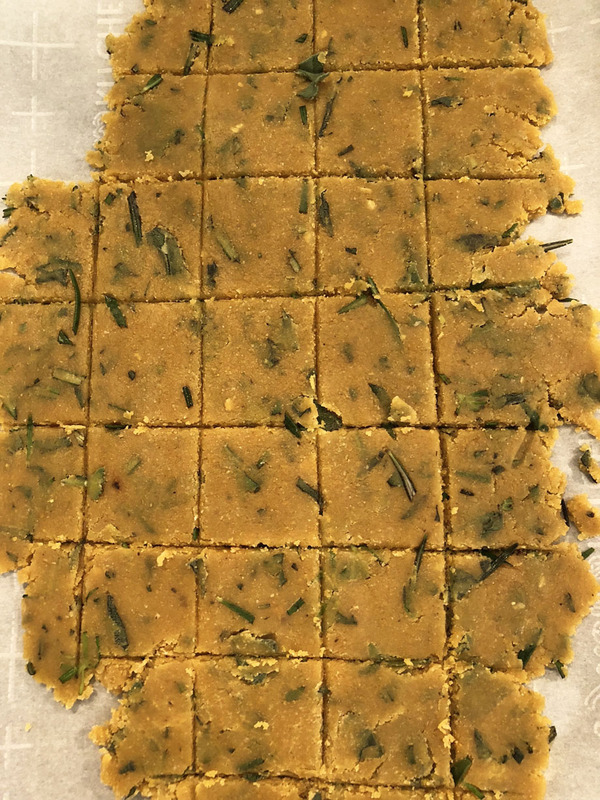 After baking, the squares will break apart easily. I enjoy eating these crackers by themselves or dipping in some hummus or guacamole. Let me know how you like them and if you decided to use any other herbs or spices…would love to hear back from you! -Remove from oven and break apart…let cool and enjoy!